Sunline Super Natural is a a world-class monofilament line, designed to give the high performance required in a wide range of situations. 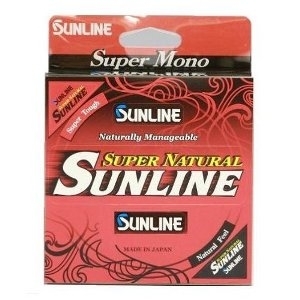 Sunline Super Natural is supple and easy to handle for maximum castability. Super Natural is offered in two colors, "Natural Clear" for exceptional transparency and "Jungle Green" for excellent camouflage.